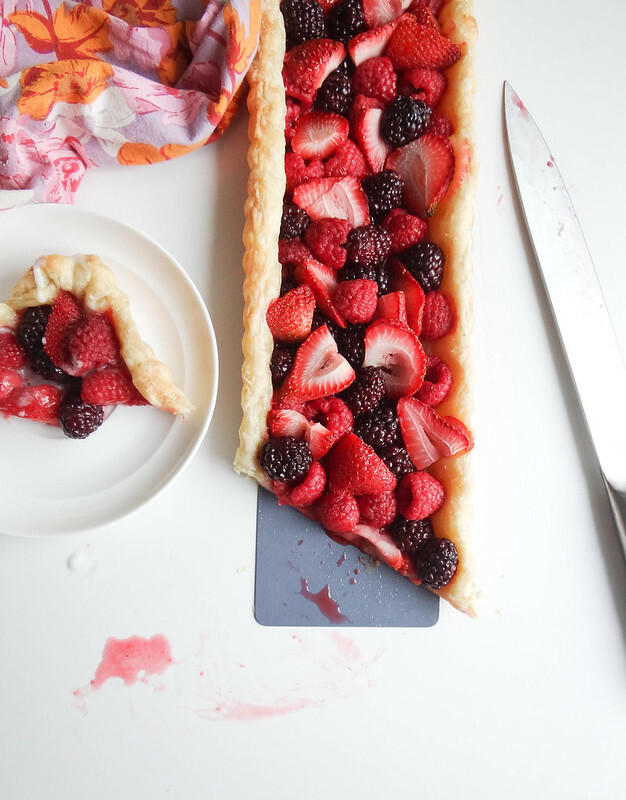 Fresh Berries fill the tart with a sprinkling of raw sugar- it really can't get any simpler than that. I am counting down the days until strawberry picking season- our crops typically peak around the last 2 weeks of June. 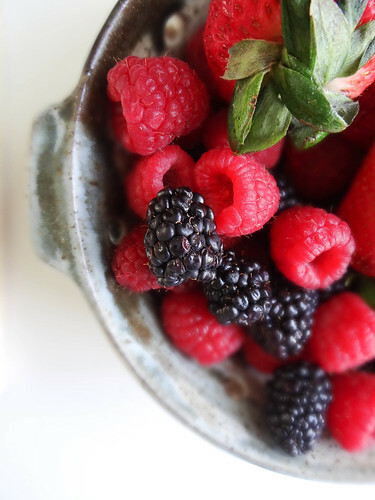 Blackberries and raspberries follow then blueberries. 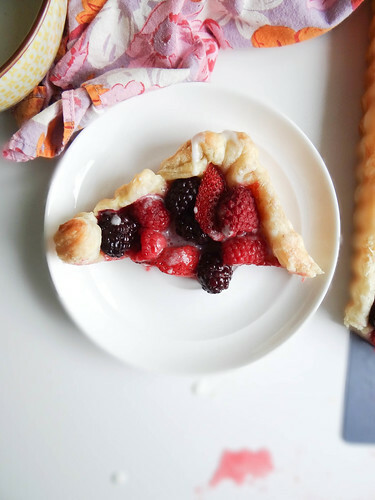 You can easily swap the blackberries for blueberries and raspberries for cherries and still walk away with a killer dessert. So the other night I had a total meltdown....over deep dish pizza. Borderline tantrum - it was late, I was tired and Justin's pizza was a little under-cooked thanks to my over enthusiasm with the dough. I refused to eat my pizza and pouted on the couch. Justin for the life of him could not figure what was wrong with me, what was wrong? The pizza was not perfect! As soon as I said those words I knew I had felt this way many times before when something didn't turn out as perfectly planned. Justin happily ate his little less than perfect pizza and I came to realize that not everything is going to be perfect and I need to let go of the word "perfect" - it is okay to be less than perfect, we all are going to fail once in a while. I set these incredibly high standards and beat myself up if my plan turns out anything less than perfect- my goal is too be a little kinder to myself with a gentle reminder good is still great - and even if it is not, that's okay too. Thankfully this tart was meltdown free - the only hiccup that occurred, my coconut whipped cream turned out as a coconut cream. It is so important to use full fat coconut milk or its just not gonna whip up- believe me I tried and tried then just accepted the fact this is just not going to turn into whipped cream. So instead of getting upset it turned into a coconut cream which was still just as tasty. Coconut cream or coconut whipped cream - either one is pretty awesome. 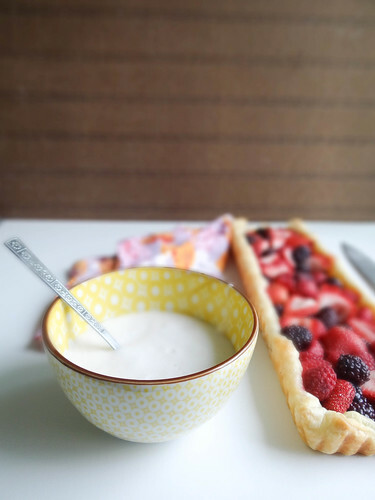 You can make the cream or whipped cream while the tart bakes. Total hands on time less than 10 minutes, total baking time about 14 minutes, giving you a baked dessert in under 30 minutes. Do you hold yourself to incredibly high standards that seem crazy to others? With all the social media and talent out there I think it can be easy to get caught up with the thought of being perfect , wanting to achieve all our goals overnight or having instant success in all you do. Thing is, we don't always see everyone's fails or struggles - social media makes so many of us out to be perfect or leading the perfect life making us feel like we aren't doing enough or achieving success fast enough, when 9 times out of 10 the person you think has it all shares in the same struggles as you do. I love reading posts from other bloggers that bring a realness to their posts: relate-able. Let's talk about why our jeans don't always fit, kitchen fails that last a week, a project that failed or the fact that we are not super human and have our good days and bad. Let's be okay with the place we are individually in and support one another while we are in that place. While we are all cheering one another on lets also have a slice of this tart. I am so happy to have this community of amazing, talented and compassionate people - you all are pretty amazing. 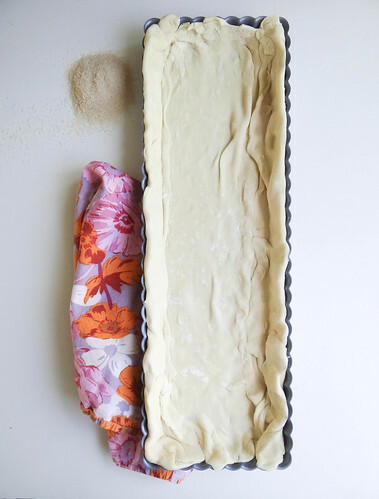 On a lightly floured surface roll out the pastry dough to the length of your tart pan- if you do not have a tart pan you can simply place the pastry sheet on parchment paper and baking sheet then fold up the edges a bit to create a border. 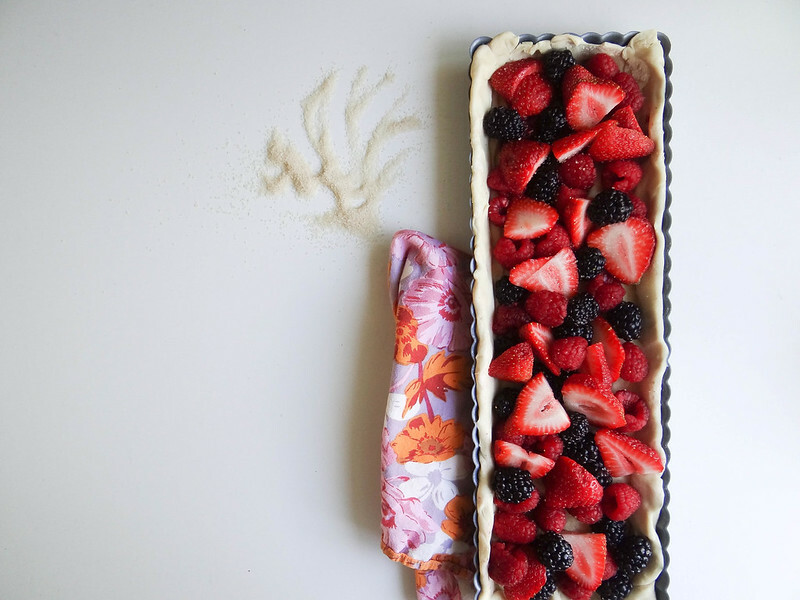 Place your rolled out pastry into a tart pan sprayed with coconut oil and push up along the sides. 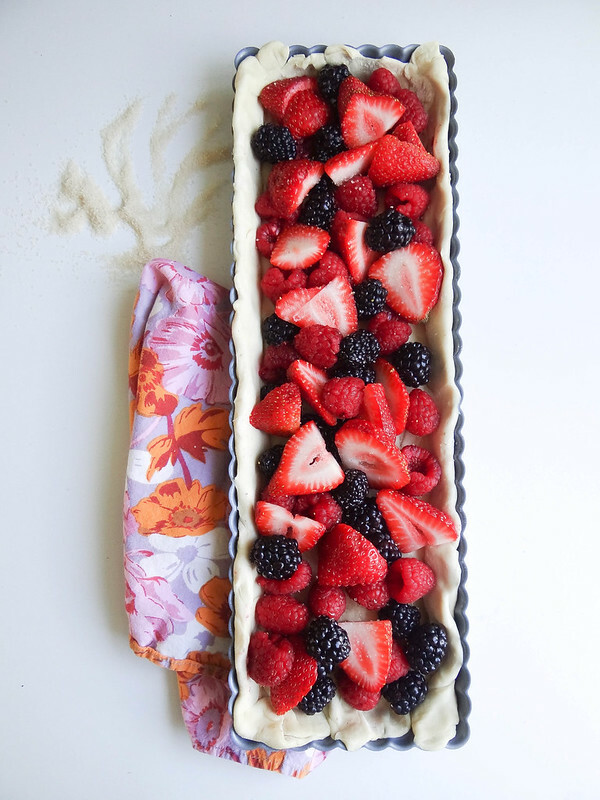 Sprinkle Pastry with raw sugar and place rinsed and hulled berries then sprinkle the remaining sugar over the berries. Pop in the oven and bake for 14-16 minutes until edges of pastry are golden. Very carefully, remove the can of coconut milk from the fridge and open the can. You will notice that all the solid cream has risen to the top and the "coconut milk" has fallen to the bottom. With a spoon, very carefully scoop out the cream, careful not to take on any coconut "milk" when scooping out the cream. Place the cream from both cans in the mixing bowl that was in the freezer and whip on high with a stand or hand mixer with the attachment (whisk beaters) from the freezer. The cream will magically transform into whipped coconut cream in about 2-4 minutes (scrape down sides if needed). Once you have reached the consistency of whipped cream, turn off the mixer and add in the powdered sugar (if using) and the vanilla extract. Whip an additional minute. girl. i beat the crap out of myself on a daily basis in the constant desire to be perfect. it's exhausting and self abuse. i'd love to say i was working on being better to myself, but i feel like it's the opposite and has infiltrated areas of my life that i used to be more relaxed about. but, at least i'm aware of it? just know you're not alone. 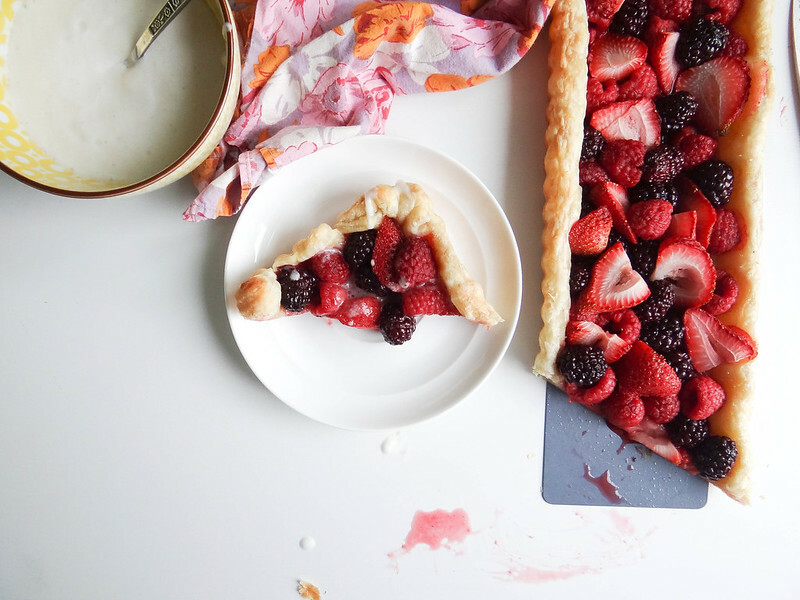 this tart is beautiful, though, and perfect! you make the most gorgeous desserts. Relating to you ... I'm on a quest for the perfect pizza crust...my husband is happy with most of them and says things like "remember the crust from 4 pizza's ago, that was perfect" and I think "really...I don't think you know what perfect is!". Although his experiences tend to be more positive and optimistic than mine...so I'm letting go of perfect for many things....but not pizza crust! Oh man!! 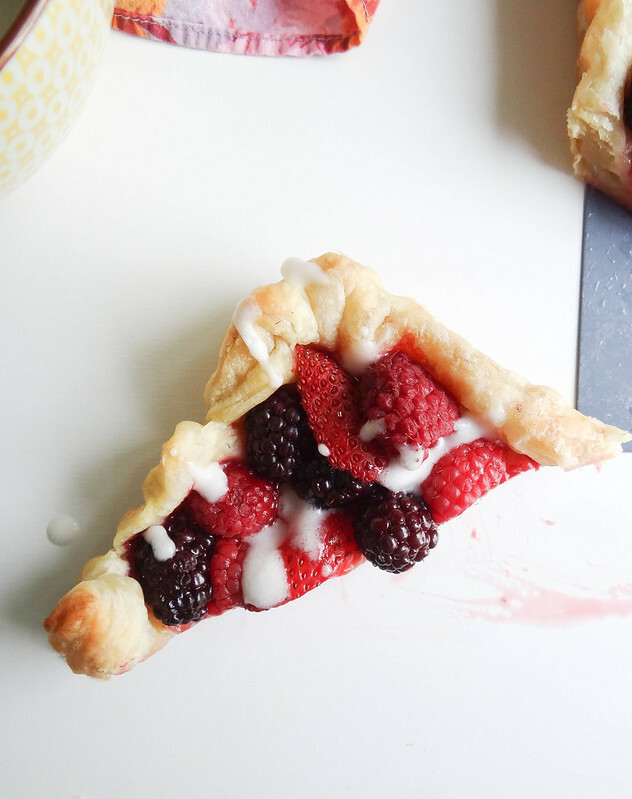 This tart is such a babe. Perfect for summer! 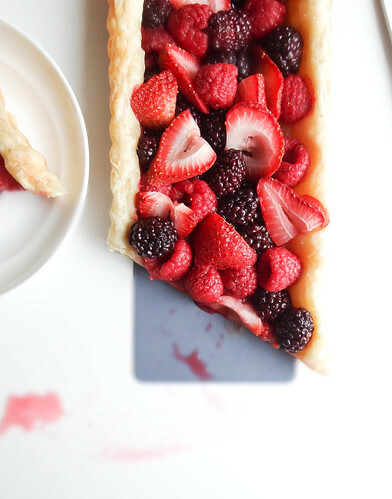 that tart IS perfection! how gorgeous! All the berries! Yes, please! 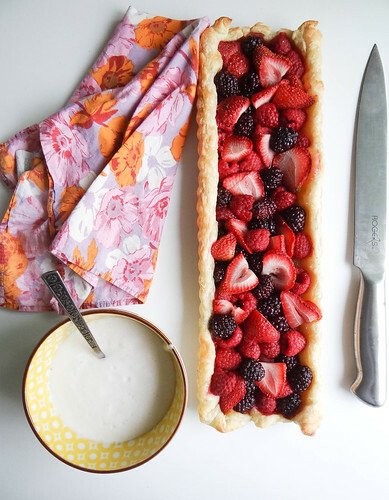 This tart looks so fresh and beautiful and summery. Hooray! I adore puff pastry but I never buy it. 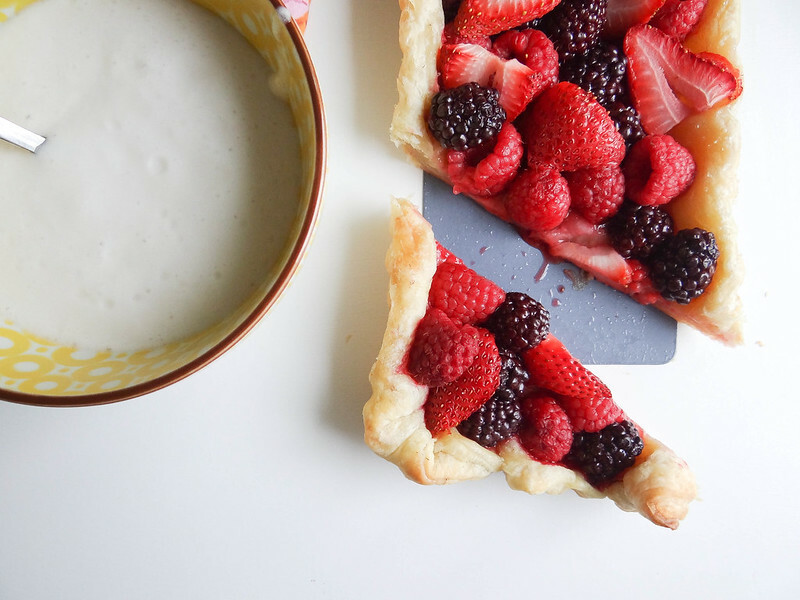 What a great idea to have some on hand for an easy breezy dessert! 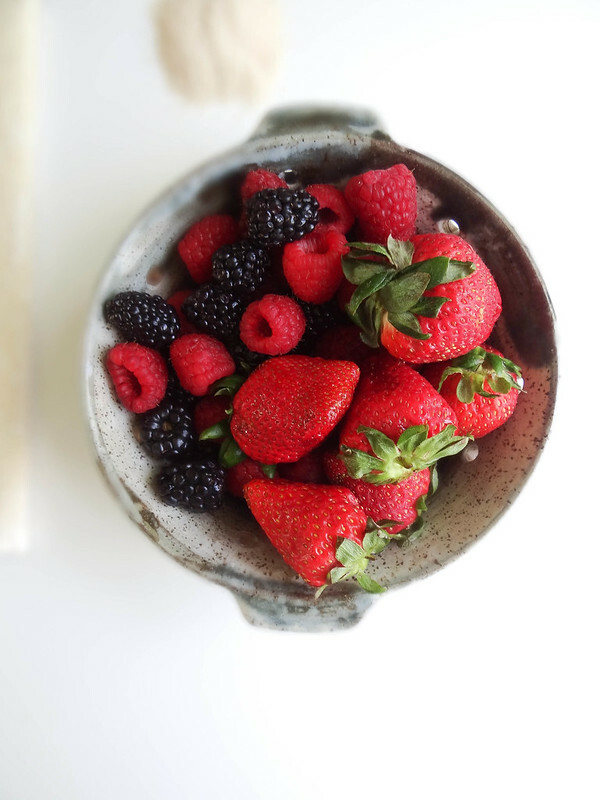 All of those berries look mouthwateringly good. Beautiful pictures! 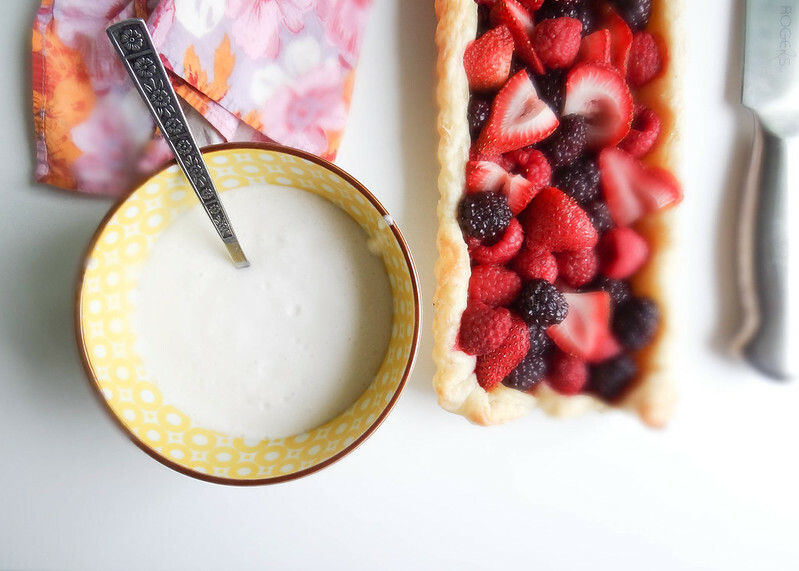 I wouldn't think that berries on their own in a tart would work, but I'm sure once they've baked they break down a bit to make a nice filling, and the coconut whipped cream would be the perfect topping! Whenever I make recipes to serve others, I always focus on the tiny flaws even if it still tastes good - it's hard not to, but as long as you don't beat yourself up about it and still enjoy the food with others, then it's ok!